The last few years have seen some signs of a signiﬁcant historical shift in the intellectual posture and self-understanding of analytical philosophy in Britain. One such indication has been the recent spate of publications and conferences concerned with the origins of analytical philosophy as a distinctive theoretical tradition – a belated, albeit implicit, recognition of cultural relativity. Another is the increasing openness among less parochially minded analytical philosophers towards other traditions of European philosophy. Institutionally (or proto-institutionally) this second development has recently been reﬂected in the announcement of the creation of a ʻForum for European Philosophyʼ. The proclaimed aim of the Forum, which as yet has no formal organization or constitution, is to ʻpromote dialogue between philosophers in Britain and the rest of Europeʼ. Its inaugural meeting was held on the premises of the Royal Institute of Philosophy in London on 20 February this year. Alan Monteﬁore of Balliol College, Oxford, one of the founders of the Forum, opened the proceedings by announcing that the Collège Internationale de Philosophie in Paris had generously donated the sum of £1,500 to assist the formation of an organization in Britain devoted to aims similar to its own. He introduced François Jullien, President of the Collège Internationale, who spoke about the origins of his own institution, its aims and modus operandi, as a locus of philosophical discussion outside the established framework of the university. Jullien then spoke interestingly about his own philosophical work, which involves in-depth comparisons of the Chinese and Western philosophical traditions, with the aim of elucidating what is distinctive about our own European modes of thought. Brief responses by Alison Denham (Oxford) and Garbis Kortian (Paris and Vienna) were followed by François Jullienʼs replies and some questions from the audience. Monsieur Jullien spoke in French – as was of course his privilege – but unfortunately, as the evening wore on, the arrangements for periodic translation began to break down. This must have left a considerable proportion of the audience without much clue as to what was happening in the discussion, which was unfortunate for an inaugural meeting intended to draw people in. The evening concluded, as intended, with a general debate on the future format and role of the European Forum. Alan Monteﬁore and the other organizers present (Nick Bunnin, Marion Hobson and Jonathan Rée) welcomed the written submission of suggestions and proposals from all interested parties. During the concluding debate high passions were aroused. Some of those hoping that the Forum might function as a gathering place for the dispersed and often beleaguered commmunity of non-analytical philosophers in Britain were disappointed as it became apparent that the crucial interface of the Forum would be between British analytical and European non-analytical philosophy. As a result, by the end of the evening, two organizations were being proposed: an organization of ʻcontinentalʼ philosophers in Britain, part of whose aim would be to combat the institutional hegemony of analytical philosophy in Britain and its intellectual consequences (see the advertisment on p.  , above), plus the European Forum, whose membership and goals would be more inclusive. As one member of the audience remarked, the notion of two organizations in Britain devoted to European phil-54osophy seemed rather lavish, given that only half an hour previously there had been none. It remains to be seen how these projects will develop, and how they will interrelate. It seems clear that there is now a need for some kind of association in Britain for teachers and research students working in the various non-analytical traditions of European philosophy. It is time for some assertion of collective self-conﬁdence – a conﬁdence which must surely be boosted by the increasing pressure from students for courses on these philosophical traditions, which even staunchly analytical departments are now ﬁnding it difﬁcult to ignore. At the same time, an organization – such as the Forum – with the ﬁnancial resources to stage signiﬁcant encounters between British philosophers and their European counterparts may also be able to play a role in the pluralization of philosophical voices. However, the fact that the Forum is being established under the aegis of the Royal Institute of Philosophy will debar it from being a single-member organization with a democratic structure. Clearly, some potentially positive developments are on the horizon. But how long will it be before the power-brokers of the analytical establishment feel ashamed to announce – as Ted Honderich did when introducing Donald Davidson to an audience in London a couple of years ago – that analytical philosophy is the ʻonly philosophy that mattersʼ? Honouring Levinas‘Visage et Sinaï ’, Collège International de Philosophie, 8–9 December 1996Since Emmanuel Levinasʼs death in December 1995, the philosophical community has mourned one of its most fecund thinkers. 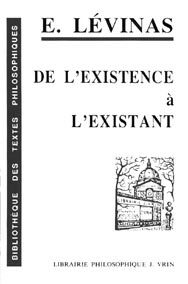 A memorial symposium in Paris, organized by the Collège International de Philosophie on 8–9 December 1996, brought together a number of speakers to reﬂect on Levinasʼs most important contributions to contemporary philosophy. It was organized around the theme of ʻVisage et Sinaïʼ. In his opening remarks, Jacques Derrida revisited his readings of Levinas, reorganizing them around an ʻethics of hospitalityʼ or the ʻwelcome of the otherʼ (lʼacceuil de lʼautre). He followed the thread of Levinasʼs reﬂections on subjectivity, from the image of the subject as host/guest in Totality and Inﬁnity to that of the hostage in Otherwise than Being. The ﬁgure par excellence of receptivity and hospitality – he suggested – is the ﬁgure of the feminine, a theme that will be familiar to Derridaʼs readers. Finally, in turning to Levinasʼs ʻTalmudicʼ texts, Derrida linked the question of hospitality to the question of peace and considered the possibility of an ʻethical politicsʼ, a politics that would be founded on the irreducible and unthematizable welcome of the other in hospitality – a politics of mourning, then, because the other welcomed has always already been thematized (cannibalized, said Derrida, recalling his seminar title, ʻManger lʼautreʼ, of a few years ago). In contrast to Derridaʼs emphasis on the feminine, Jean-Luc Marionʼs presentation, ʻLa voix sans nomʼ, focused on the question of God the Father. Arguing that the faceto-face relation between Father and son is the philosophical nucleus of Levinasʼs work, Marion examined the questions of fecundity, transcendence, inﬁnity and the ethical relation developed in Totality and Inﬁnity, and their reinscription in Otherwise than 55Being, and attempted to link them to his own project outlined in his study Réduction et donation. For Marion, the paternal relation of Father to son is structurally the same as that of inﬁnity to the ﬁnite; the voice of the Father remains as a trace, an echo, of the originary donation. The Father, however, remains inexorably withdrawn from that which is given by Him, and hence cannot be said. Paul Ricoeur traced the path of Levinasʼs hermeneutics of language in his presentation ʻDire et Dedireʼ. Following the path opened in Totality and Inﬁnity, Ricoeur concentrated on the important transitional essays ʻMeaning and Senseʼ and ʻLanguage and Proximityʼ, where Levinas ﬁrst articulates the notion of ʻsubstitutionʼ. This notion is taken up again in an important chapter of the same title in Otherwise than Being, which Ricoeur considered at length, especially in relation to Levinasʼs thought of ʻilleityʼ. The inﬁnite substitution of oneself for an other is the ethical itself, and as such is the condition of possibility of all ʻcommunicationʼ and hermeneutics, precisely because in substitution ʻthe destitution and desituation of the subject do not remain without signiﬁcationʼ. Signiﬁcation – language – continues to modulate and moderate the relation of the subject to alterity, and my relation to the other, a relationship of responsibility, is always a hermeneutical one. Simon Critchley sought to situate ʻLevinas avec la psychanalyseʼ in his contribution. The welcome of the other, the impingement of the other upon me – what Derrida names ʻhostipitalityʼ – was analysed by Critchley in terms of the ʻoriginal traumaʼ. As with psychoanalysis, where the ego is a secondary process of the id suffering the traumatic experience of civilization, so too is the subject in Levinas the result of a trauma, and hence epiphenomenal to something more fundamental. Italian philosopher Giorgio Agamben devoted his lecture to a reading of Levinasʼs ﬁrst published essay – not ʻDe Lʼévasionʼ, as one might suspect, but rather a little-known piece on the sense and meaning of Nazism in Europe. His own ongoing project concerning the question of concentration camps and political refugees was already sketched out, albeit differently, by Levinasʼs short meditation, in which he argues that the politicization of life is the hidden agenda of the modern state, here the Nazi state. For Agamben, this agenda – the technologization of bio-power by the oppressive state – was already clearly foreseen by Levinas, and remains a paradigm that crosses all modern sovereign spaces, be they totalitarian or democratic. Thus Levinasʼs oeuvre was appropriately honoured in its richness and diversity. Memorials were also offered by Catherine Chalier, Pierre Bouretz, Miguel Abensour, Jacques Colleony, Jacques Rolland, Shmuel Trigano and Stephane Moses. The papers of the colloquium will appear in a volume published by the Collège International, though no publication date has yet been set. They should be read in conjunction with Derridaʼs recently published essay ʻÁ-dieuʼ, the text of the oration he pronounced at Levinasʼs funeral. Another conference devoted to Levinas is scheduled to take place on 20–22 May 1997 in Namur, Belgium. Organized by the Faculté Universitaire Notre-Dame-de-laPaix in Namur, the colloquium is devoted to ʻLevinas et lʼhistoireʼ, and will welcome Jacques Taminiaux and Catherine Chalier, among other scholars of note. 56Cogito humana: dynamics of knowledge and valuesXVIIth German Conference for Philosophy, University of Leipzig, 23–27 September 1996With this conference the Society for Philosophy in Germany honoured the historical contribution of Leibnizʼs Rationalism to modern philosophy and science – his birth in Leipzig 350 years ago, the time he spent there at the university – as well as the birth of his French Rationalist counterpart Descartes. However, the conference was not primarily of a historical nature and did not focus exclusively on these two important ﬁgures. Where they did feature, it was not in the context of unchanging, or even past, constructs. Thus, for example, workshops devoted to Descartesʼ morale provisoire emphasized the provisional nature of ethics under the pressure of rapid changes in knowledge and technology, foregrounding the contemporary orientation and subtitle of the conference – the dynamics of knowledge and values.Problems of legitimation were considered in the context of the pressures exerted by globalization and intercultural encounters. In his treatment of Hannah Arendt, Albrecht Wellmer praised the importance of freedom and the possibility of starting afresh, which are inherent in action as a central concept in her political philosophy, but was sceptical of the applicability of her version of republicanism in the modern world, Changes in the international activity of multinational companies, NGOs and communications networks led Onora OʼNeill to argue in favour of legitimation processes which are not restricted to a Hobbesian ﬁxation on the state. Friedrich Kambartel held that it is the hermeneutic problem of understanding in the face of polysemy which is of prime importance in ever-expanding and intensifying intercultural encounters. Bernard Williams argued against Kambartel on the grounds that the latterʼs reliance on Wittgenstein resulted in him buying into a problematic hermetic relativism. Williamsʼs own position was that modernity has produced a legitimation demand on states, which means that they have to ʻhave a story to tellʼ as to why their actions are legitimate; and that this story has to be acceptable to each and every person whose welfare is inﬂuenced by these actions. Williams expressed serious doubt as to whether the booming efﬁciency economies can meet this demand. Jürgen Habermas also dealt with the ʻefﬁciency economiesʼ in Asia, and the encounter between religious fundamentalism and the postmetaphysical state. He asked whether the modern Occidental form of legitimation and its accompanying entrenchment of human rights are a European idiosyncrasy, and whether a demand that these be internationally respected is consequently masked imperialism. According to him, they are one possible solution to the problems typical of modernity which non-European cultures also have to deal with in the face of their increasing involvement with modern technologies and economy. The choice of Leipzig University as the ﬁrst place in the former GDR to host this conference is signiﬁcant. It was one of the centres of popular uprising leading to the German Wende, or turnabout, in 1989. The university takes pride in its fully refurbished philosophy department. At the same time it was from within this department that the still-raging debate about the winding up (Abwicklung) of former GDR philosophy departments arose. These growing pains are reminiscent of the period after the war when Hans-Georg Gadamer was brieﬂy rector of the university. In this context, his award of an honorary doctorate could not avoid the ambivalent tension of a troubled relation to a fractured past.